It has been revealed that James Wan’s Aquaman will screen five days earlier for Amazon Prime subscribers. Warner Bros. has been pushing the Arthur Curry standalone movie pretty heavily over the last few weeks, with new TV spots, behind-the-scenes sneak peeks, as well as a wealth of standalone and character posters. While it was originally believed that the classic Aquaman suit was going to be a surprise, it has slowly crept into the promotional material, and is now on full display. The Amazon Prime early screenings of Aquaman will take place at 7PM on December 15th, at select theaters across North America. Regal Cinemas, Cinepolis, Bow Tie Cinemas, ArcLight, Showcase Cinemas, and Studio Movie Grill are all participating in the early screenings. The movie opens on December 21st officially, and on the 20th for the Thursday night previews. Most notably, AMC and Cinemark are not taking part in the early screenings, unless something changes between now and then. Tickets are expected to go on sale soon for the special event, which will more than likely sell out in popular locations, especially since they’re taking place on a Saturday night. Early reactions to Aquaman have been mixed, but mostly leaning on a positive note. Like most movies, fans will be able to make up their own minds when they leave theaters. With that being said, it’s been a year since a DCEU project hit theaters, meaning that fans are pretty hyped to see Jason Momoa as Arthur Curry on the big screen, leading the charge. In addition, James Wan’s visuals look pretty amazing from all of the promotional material that has been released for the movie so far. James Wan and crew spent a long time to get the visual effects exactly how they wanted it to look, which is more than likely why it took so long for us to see any Aquaman footage. Wan is a perfectionist, and would often tell DCEU fans that they would see a trailer “when it was ready.” The first Aquaman trailer was finally unveiled at San Diego Comic Con this summer, and DCEU fans were instantly very happy about the way that it looked. However, it’s going to take a lot more than visual effects to carry the story of Arthur Curry, though it’s a great place to start. In addition to the advance Amazon Prime screenings, Aquaman is having a global tour of special events that kicks off this Sunday, November 18th in Beijing, and wrapping up on December 21st in Hawaii. Warner Bros. is pulling out all of the stops in preparation for the highly-anticipated movie. Since it’s been a year since Justice League hit theaters, Arthur Curry’s movie should have no problem getting better marks from critics, leaving the aforementioned movie in the dust. 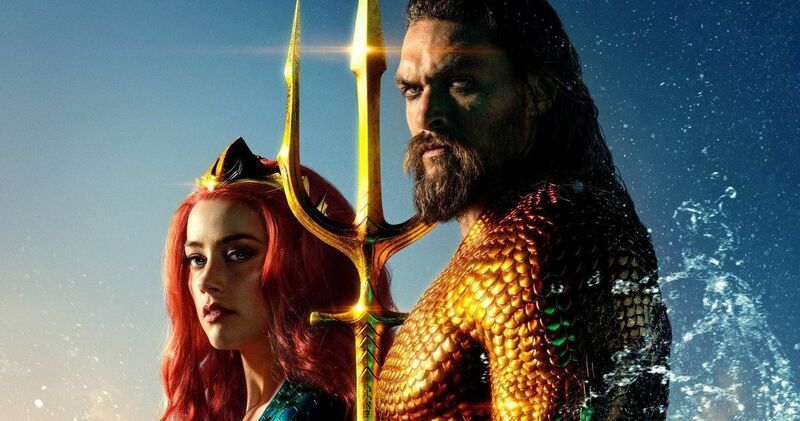 The news of the Amazon Prime advance Aquaman screenings was originally reported by Release News.